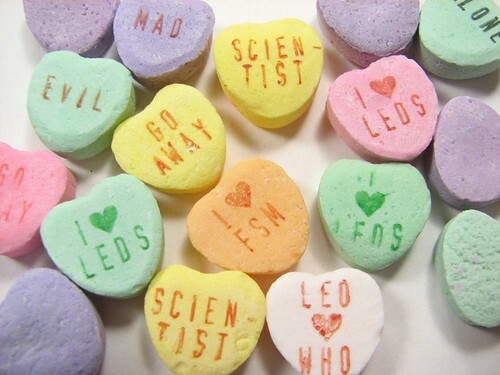 Last year as Valentine’s day approached we suggested writing new messages on your conversation hearts and loading up your trebuchet. 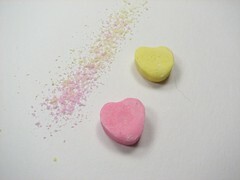 We still advocate catapults for Valentine candy distribution and disposal, but we’ve upgraded the presentation a bit. With a rubber stamp kit and a food-safe pen, you can stamp your messages so they look nearly authentic, but have much more appropriate messages. The tools needed are pretty simple. 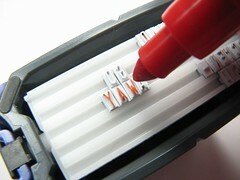 A do-it-yourself return address style rubber stamp kit can be obtained from office supply stores, and food writing pens are available at grocery stores. As are the message hearts, surprisingly. We’re not sure how they got to be categorized as food. 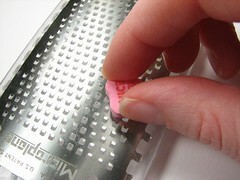 It helps to have a flat surface to stamp on, so a little bit of shaving on a microplane is a good idea. You can also remove the original message this way. 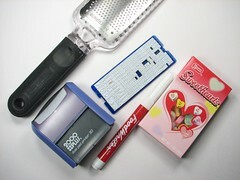 Arrange your desired message on the stamp and ink with the food pen. 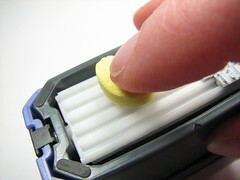 Then press the smooth side of the heart down onto the stamp. You can arrange several messages on your stamp pad at once for repeated stamping of large numbers of candies and you can rearrange as needed. The messages you choose are of course, up to you. 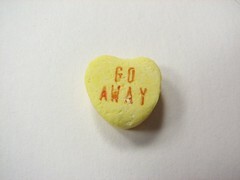 “Alone” and “Go Away” are appropriate for those not particularly fond of this holiday. Think along the lines of BitterSweets. Maybe they should be called disappointmints? 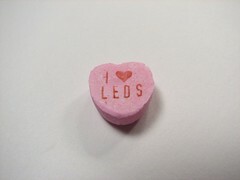 Alternately, you could express your religious convictions or your love for blinky lights. Our stamp set came with lots of extra characters, including the convenient heart shape. 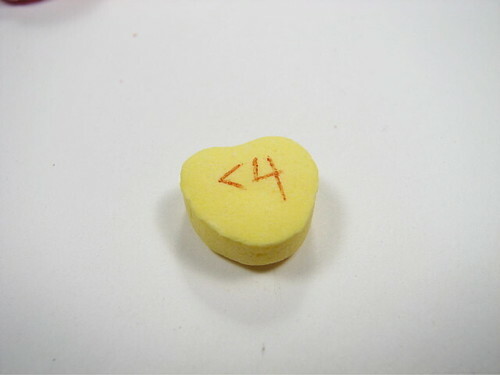 If you don’t have the right sized stamps for your desired design (our “4” was way too small, and there wasn’t a less-than symbol in our set) you can use a slash or dash to form your own characters one segment at a time. 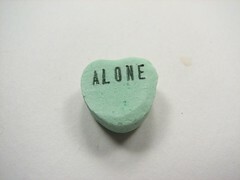 You could also carve your own eraser stamps just for the occasion. This entry was posted in Play with your food and tagged food, holiday. Bookmark the Permalink. perhaps a V can be remounted for a less than symbol? Interestingly, the ‘V’ is very narrow (see "evil" above) and the four was so ridiculously narrow as to be nearly unreadable, so that combination just didn’t look good to me. But yes, many characters can be repurposed.